Vada Pav is one of the lifelines of the Maharashtrian city of Mumbai, ranking right up there with the city’s bus transport and suburban railway systems. It is common man’s food, very pocket-friendly, easily available on the streets at any time of the day (or night). The Mumbaikars are known to grab a vada pav off a street-side stall, and eat it on the go, on the way to work or while travelling for personal errands. Today, I present to you the Mumbai vada pav recipe, which I prepared for the Sshhh Cooking Secretly Challenge. For the uninitiated, vada pav refers to a deep-fried potato patty (batata vada) sandwiched between two buttery slices of thick bread (pav). Typically served bundled up in a piece of newspaper, along with fried green chillies and a dry garlic chutney, vada pav is a yummylicious treat much loved by all and sundry. Because of its resemblance to a burger, vada pav is also referred to sometimes as Bombay (erstwhile Mumbai) Burger. There are quite a few stories about how exactly the vada pav came into existence, but there is no doubt about the fact that it originated in Mumbai. However, today, vada pav is now commonly available across the length and breadth of India. Let us now check out the famous Mumbai Vada Pav recipe. Let us first get the dry garlic chutney ready. Peel the garlic cloves needed for the chutney, and keep them ready. Get a pan nice and hot, then turn the flame down to medium. Now, add the peanuts, sesame seeds, broken dry red chillies, grated coconut and peeled garlic cloves to the pan. Dry roast on medium heat for 2-3 minutes, taking care not to burn any of the ingredients. Transfer the roasted ingredients to a plate, and allow them to cool down completely. Once fully cool, take the roasted ingredients in a small mixer jar. Add in red chilli powder and salt to taste. Pulse a couple of times, a second each time, stopping in between to scrape down the sides of the mixer jar. Stop when you get a coarse powder. Remember to pulse and not grind constantly – grinding will turn the ingredients into a paste, but what you need is a coarse powder. Keep the dry garlic chutney aside for use in the vada pav later. We will then get the filling for the vadas ready. Wash the potatoes thoroughly under running water a couple of times. Ensure that no dirt remains on them. Cut the potatoes into quarters and place them in a wide vessel. Fill in just enough water to immerse the potatoes. Place the vessel in a pressure cooker. Pressure cook for 4 whistles. Let the pressure release naturally. Once the pressure has entirely gone down, remove the cooked potatoes and allow to cool. Peel and mash them roughly. Keep aside. Peel the ginger and garlic cloves. Chop the ginger and green chillies. Grind the ginger, garlic and green chillies to a paste in a small mixer, using a little water. Keep aside. Heat 1 tablespoon oil in a pan. Add the mustard seeds and allow them to pop. Add the asafoetida, and let it stay in for a couple of seconds. Now, add the mashed potatoes, salt to taste, turmeric powder and the ginger-garlic-green chilly paste. Cook on medium flame for 2-3 minutes, stirring intermittently. Switch off gas. Mix in the lemon juice and finely chopped coriander. The vada filling is ready – allow it to cool down completely before using it. We will now prepare the batter for the vadas. Take the gram flour, rice flour and salt to taste in a large mixing bowl. Add water little by little to get a thick batter that is not too runny. Ensure that the batter is free of lumps. Now, we will prepare the vadas. Take oil for deep frying in a pan. Set it on high flame and allow it to heat up well. Meanwhile, divide the potato filling we prepared earlier into 8-10 equal parts. When the oil is nice and hot, dip a couple of the potato filling balls in the batter. Coat them evenly in the batter, and then drop into the hot oil. Fry on medium flame till the vadas are brown on the outside and well-done from the inside. You can fry about 2 vadas at a time, typically, without overcrowding the pan. Transfer the fried vadas to a plate. Fry all the vadas in a similar manner. Keep ready. If you are using green chillies, fry them on medium flame, in the leftover oil, till their skin blisters. Transfer to a plate and drizzle some salt over the fried chillies. Keep aside. Now, while the vadas are still hot, we will assemble the vada pav. Cut one ladi pav into half. Heat a thick dosa pan, and add some butter in the centre. Reduce the flame to low and lightly toast both sides of the ladi pav in the butter. Spread some sweet-sour tamarind chutney and spicy green chutney evenly on both sides of the pav. Spread some dry garlic chutney on the bottom of the pav. Slightly flatten one vada and place it on the bottom part of the pav. Add some more dry garlic chutney on top of the vada. Cover it with the top half of the pav, and press down slightly. Serve immediately, with fried green chillies on the side. Prepare all the vada pav in a similar fashion. I have used ordinary red chilli powder in the dry garlic chutney. You may use Kashmiri chilli powder instead, for a deeper red colour and less heat. Any leftover dry garlic chutney can be refrigerated and stored for up to a week. It can be used along with rotis and parathas, or mixed in oil and served with dosas. Torn curry leaves can be added to the potato filling, if you so desire. I don’t, because we don’t enjoy biting into them. Skip the lemon juice in the potato filling, if you don’t prefer it. I add it, because we like it. I normally use store-bought ladi pav to make this dish. You can make the pav at home from scratch too, if you want to. Click here to get my recipe for spicy green chutney. Click here to get my recipe for sweet-sour tamarind chutney. You can prepare the dry garlic chutney, the sweet-sour tamarind chutney, and the spicy green chutney in advance and refrigerate it. This way, you just need to make the vadas on the day you plan to serve the vada pav. Any leftover fried vadas can be served separately or used in other dishes, later. The recipe for batata (potato) vadas stated above is the Maharashtrian way of making them. Other states – like Tamilnadu for instance or, say, Gujarat – have slightly different ways of making potato vadas. This post is for the Ssshhh Cooking Secretly Challenge group that I am part of. Every month, the participants of the group cook dishes from a particular part of India, using two secret ingredients assigned to them. This month, all of us over are cooking dishes from the Indian state of Maharashtra. My partner for the month, Priya Satheesh from Priya’s Menu, gave me two secret ingredients – peanuts and coconut – and I decided to use them in this Mumbai Vada Pav recipe. My talented co-blogger prepared a delicious Vatana Usal using the two secret ingredients I gave her i.e. peas and potato. I’m also sharing this post with Fiesta Friday #252. The co-hosts this week are Alex @ Turks Who Eat and Zeba @ Food For The Soul. Did you like this Mumbai Vada Pav recipe? Do tell me, in your comments! Love sandwiches? We do, at our place! Sandwiches make for the perfect lunch or snack on a busy work day. They are great for dinner too, if you don’t want to whip up an elaborate meal. And there are so many varieties of sandwiches possible – you just can’t get bored of them! Here’s presenting a Cheese & Curried Babycorn Sandwich or Babycorn Masala Sandwich With Cheese, something I tried out recently and all of us loved. I have used tender babycorn to make the filling here, curried Indian-style. Paired with some cheese and tomato ketchup, the babycorn filling tastes just amazing! Let’s now see how to make a Cheese & Curried Babycorn Sandwich. We will first get the vegetables ready to make the stuffing. Remove the husks and fibres from the babycorn. Peel and chop the onion finely. Remove the cores and stem from the capsicum. Chop it finely. Keep the chopped veggies ready. Now, we will prepare the filling for the sandwiches. Add the chopped babycorn, onion and capsicum to the pan. Saute on medium flame for a minute. Keeping the flame low, add the salt to taste, turmeric powder, sugar, red chilli powder and garam masala. Mix well. Continue cooking uncovered, on medium flame, till the vegetables are cooked but still retain a bit of a crunch. This should take 1-2 minutes. Switch off gas, and add the finely chopped coriander and lemon juice. Mix well. The stuffing is ready – keep aside. Now, we will prepare the Babycorn Masala Sandwiches With Cheese. Spread out a generous amount of the prepared babycorn stuffing evenly on one slice of bread. Over it, add some grated cheese and drizzle some tomato ketchup. Prepare all the sandwiches using all the bread, in a similar manner. Grill them in a sandwich maker till brown on the outside and a bit crisp, taking care not to burn them. Serve immediately. You can use chana masala instead of garam masala in the filling. Adjust the quantity you use, as per personal taste preferences. I have used garam masala by Ciba Taaza Spices in the filling. I have used Amul processed cheese to make these Cheese & Curried Babycorn Sandwiches. You may use any other type or brand of cheese you prefer, instead. I have used Heinz tomato ketchup to make these sandwiches. I have used whole wheat bread in these Cheese & Curried Babycorn Sandwiches, but you can use any other type of bread instead too. Do not overcook the filling. The babycorn should still retain a bit of a crunch. I used an electric sandwich maker by Morphy Richards to make these Babycorn Masala Sandwiches with cheese. You could even toast them on a dosa pan. I have used tender babycorn from Mapletree Farms, Hosur, to make these sandwiches. They came with the husk, which I had to remove, along with the fibres. If you are buying peeled, cleaned and packaged babycorn, you can use it straight away. 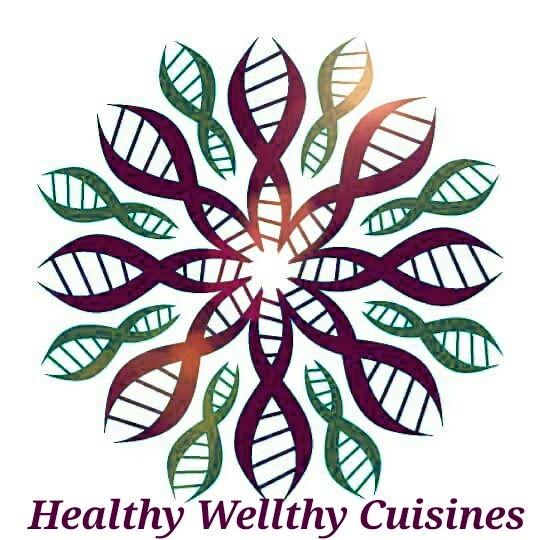 This post is for the Healthy Wellthy Cuisines group that I am part of. The members of this group cook for a particular theme every fortnight. This fortnight, all of us are cooking different types of sandwiches. Choclo Al Comino, the very simple recipe that I bring to you today comes all the way from Peru. Peru (officially, The Republic of Peru) is a country in South America that I have always been fascinated by, thanks to its history of many ancient civilisations like the Incas. It is, after all, home to Machu Picchu, that 15th-century Inca place that is one of the seven wonders of the world, and features on most travellers’ bucket list. The same can be said of the Amazonian rainforest that is the pride of Peru, too. Choclo Al Comino is a ‘piqueo‘ (a hors d’ouevre or appetiser) in Peru, typically made with Choclo or the giant corn that is native to the country. Unlike the sweet corn that is commonly available in India, choclo does not have a sweetness to it – it should be more like our desi corn, I am guessing. Boiled kernels of Peruvian corn are sauteed in butter, seasoned with salt and pepper, with a dash of cumin and lemon, to make Choclo Al Comino. It is quite a simple thing to prepare, but one that is extremely delightful when served hot. The theme this week at Foodie Monday Blog Hop is #InternationalFeast, wherein members are exploring cuisines beyond the realm of India. I chose to make Choclo Al Comino from Peru for the challenge, with Indian sweet corn in the absence of the Peruvian choclo. Well, it turned out absolutely lovely, a pleasure to tuck into, just as I had expected it would be. Our family has a new favourite way to eat corn now! Let’s now check out how I made the Choclo Al Comino or Peruvian Style Corn With Cumin And Lemon, shall we? 1. Remove the husks and fibres from the corn cobs. Separate the kernels from the cobs. 2. Place the corn kernels in a pan, and add in just enough water to cover them. Add a little salt. 3. Place the pan on high flame and bring the water to a boil. Then, lower the flame to medium. Keep the pan on medium heat till the corn kernels are cooked. Don’t overly cook the corn kernels – they should be just done and retain their crunch. Switch off the gas at this stage. After the water boils, it should take just about 2 minutes for the corn to cook. 4. When done, transfer the corn kernels to a colander and place in the kitchen sink. Allow all the water to drain out. 5. Heat the butter in a pan. When it melts, turn the flame to medium. Add the cooked corn kernels, the sugar, and salt to taste. Saute on medium flame for a minute, stirring intermittently. 6. Add roasted cumin powder and pepper powder to the pan. Mix well. Saute on medium flame for a minute more. Switch off gas. 7. Mix in lemon juice. 8. Serve immediately, garnished with finely chopped coriander. 1. Peruvian giant corn, also called choclo, is typically used to make this dish. In the absence of that, I have used Indian sweet corn. 2. Use sweet corn that is fresh, but not too tender. Only then will it be easy to separate the corn kernels from the cobs. You may use Indian desi corn as well. 3. If the corn you have is sweet enough, you can skip adding the sugar. I used it because the corn I had wasn’t very sweet. 4. The original recipe doesn’t call for coriander, but I have used it here. I felt it added a nice touch to the dish. 5. I have used Amul salted butter in this dish. I think using garlic butter instead would have had a lovely result as well. 6. The original recipe calls for the use of 1/3 cup butter. I have used only about 4 tablespoons. 7. To make roasted cumin powder, heat a pan and add a handful of cumin seeds to it. Dry roast on medium heat till the cumin emits a lovely fragrance. Allow to cool, then make a fine powder in a mixer. Store in a clean, dry, air-tight bottle and use as needed. This post is for the Foodie Monday Blog Hop, for the #InternationalFeast challenge. I’m sharing this post with Fiesta Friday #251. The co-hosts this week are Mollie @ Frugal Hausfrau and Monika @ Everyday Healthy Recipes. I bring to you today a healthy snack for those in-between-meal hunger pangs. This is also a perfect snack to whip up for when you want to eat something lovely, which will not make you feel guilty later. This Hara Chana Chaat, made using dried green chickpeas, is super easy to make, yet so delicious! Here’s how to make this Hara Chana Chaat or Green Chickpea Salad. Soak the dried green chickpeas for 8-10 hours or overnight, using just enough plain water to cover them. When the chickpeas are done soaking, discard the water they were soaked in. Add in just enough fresh water to cover them. Pressure cook for 4 whistles on high flame. Let the pressure release naturally. In the meanwhile, chop the onion, cucumber and tomato finely. Peel the carrot and grate finely. Peel the raw mango and chop finely (if using). Chop the green chilly very finely. Keep aside. When all the pressure has gone down, remove the cooked chickpeas from the cooker. Drain out all the water in which the chickpeas cooked and reserve it – see notes for what to do with this. Place the fully-drained chickpeas in a large mixing bowl. Add the chopped onion, cucumber, tomato, raw mango (if using), green chilly to the mixing bowl. Add the grated carrot and finely chopped coriander to the bowl. Add table salt to taste, chaat masala, black salt, roasted cumin powder and lemon juice to the mixing bowl. Mix well. Your Green Chickpea Salad or Hara Chana Chaat is ready – place it in serving bowls and serve immediately. Use a no-seed variety of cucumber, for best results. There’s no need to peel the cucumber. Here, I have used mini cucumbers from Mapletree Farms. Using the raw mango is optional. If you are using it, though, you might want to reduce the quantity of lemon juice you use. Be careful while adding the table salt. You will be adding chaat masala and black salt to the salad as well, both of which have saltiness of their own. You may add any other veggies of your choice to the salad – bell peppers, boiled sweet corn, etc. I have used dry green chickpeas here. You can use fresh ones, instead, too. You may even use other varieties of chickpeas – like kabuli chana, brown chana, etc. I discard the water in which the chana has been soaked overnight, in the morning. I pressure cook the chana with fresh water. This water is drained out and used in a rasam or soup. Only fully-drained chana are used in the salad. I have used store-bought black salt and chaat masala to make this Green Chickpea Salad. To make roasted cumin powder, I dry roast a handful of cumin (jeera) in a pan on medium flame till fragrant, taking care not to burn it. When the roasted cumin has entirely cooled down, dry grind in a mixer to a fine powder. You can even grind it coarsely if you so desire. Store in a clean, dry, air-tight container, and use as needed. Do not let the Green Chickpea Salad sit around for too long after preparing it, as it tends to release a lot of water in that case. For best taste, serve it immediately after preparing. I’m sharing this post with My Legume Love Affair (MLLA) #122, a monthly event wherein participants from around the world share vegetarian legume-based recipes. This month, the event is being hosted by Renu of Cook With Renu. This event was started by Susan of The Well-Seasoned Cook and Lisa of Lisa’s Kitchen. Until very recently, Rainbow Chard was something I only ever read about on international food blogs. It wasn’t readily available in India – it still isn’t, in the mainstream market. If at all we find a vendor selling it, it costs a bomb. No wonder it isn’t a popular green in Indian households! A pity, considering how full of nutrition the greens are, and oh-so-pretty with those gorgeously coloured stalks! The Swiss Rainbow Chard that I picked up at Ragi Kana last week. When greens look as good as that, how do you not click them?! I used the Rainbow Chard leaves in a very Tamilian stir-fry, a Keerai Poriyal. This is an easy preparation, one that takes bare minutes to put together, and is quite a delicious way to get all the nutrition from those greens in. All of us at home absolutely loved it! It made a wonderful pair with the sambar rice I served it with. Let’s now check out the recipe I used for the Keerai Poriyal or Rainbow Chard Stir-Fry, shall we? Wash the greens well under running water. Place them in a colander for a few minutes, and let all the water drain away. Chop the greens finely. Keep aside. Heat oil in a pan. Add the mustard seeds, and let them pop. Add the dry red chillies, cumin, urad dal and asafoetida. Let them stay in for a couple of seconds, or till the urad dal begins to brown. Take care to ensure that the ingredients do not burn. Now, turn the flame down to medium. Add the finely chopped greens to the pan. Cook, stirring intermittently, till the greens wilt, about 2 minutes. Lightly salt the greens, and add the sugar and turmeric powder. Mix well. Cook on medium flame, stirring intermittently, till everything is well incorporated together. In another 2 minutes or so, any water draining out of the greens should have dried up, and the stir-fry should get dry. Add the coconut at this stage. Mix well. Cook on medium flame for a minute more. Switch off gas. Serve hot or at room temperature with hot rice, along with morkozhambu, rasam, sambar or vattalkozhambu. Gingelly oil or coconut oil works best, in this Keerai Poriyal. If you don’t have either, though, any other variety of oil you prefer can be used. Some green peas, chopped carrot, boiled chickpeas or cowpeas, garlic cloves, pearl onions, chopped beans or red onion can be added to the Swiss Chard Stir-Fry too. We usually keep it really simple, though, and use only the greens. Any other greens (spinach or amaranth, for example) can be used to make a stir-fry in a similar manner, instead of Swiss Chard. You can even mix 2-3 varieties of greens. Be careful while adding the salt. The greens don’t withstand salt very well – the dish can become overly salty if you aren’t cautious. Adjust the quantity of coconut you use, depending upon personal taste preferences. Chop the greens finely, for a great consistency of the Keerai Poriyal. You may skip the sugar entirely, but I like adding it in. It balances out any slight bitterness that the greens might have. Finely chopped coriander or curry leaves can be added to the stir-fry too. We usually don’t. The heat in this Keerai Poriyal comes only from the dried red chillies. If you want more spiciness, you may add in a dash of red chilli powder, but that does not really belong in an authentic Keerai Poriyal. Do not add any water while cooking the stir-fry. The greens will release enough juices of their own, and the stir-fry will have enough liquid to cook in. Cook the stir-fry uncovered. Do you like the recipe? Do tell me, in your comments! The first of the winter greens have started appearing in the markets, here in Bangalore. It is a soothing sight to see those lush, fresh greens piled up at the vegetable vendor’s. I love playing with leafy greens any day, and winter provides me just the perfect opportunity to cook with a variety of them. Spinach or palak is one of the most commonly used greens in India, and I present to you today a beautiful way to use them. Say hello to a traditional Tamilnadu recipe – Mor Keerai or Keerai Mor Kootu, using spinach. Mor Keerai or Keerai Mor Kootu can be made using any variety of greens, but I love making it with spinach the most. I adore the combination of spinach and curd, along with the ground coconut and other spices that goes into the making of this kootu. This Mor Keerai is traditionally used as an accompaniment with plain, steamed rice, but I love having it with rotis as well. Different Tamilian families have their own minor variations to the Mor Keerai, while the basic proceedure to prepare it remains, more or less, the same. The recipe below is the way we prepare it, the way we have always done in our family. Do try out this kootu – a delight to make, considering that it can be put together in minutes, and a pleasure to savour! We will first cook the spinach and keep it ready. Take the finely chopped spinach in a large vessel, along with a little salt, the turmeric powder, and 1/2 cup water. Pressure cook for 4 whistles. Let the pressure release naturally. Keep the cooked spinach aside. Now, we will prepare the spice paste. Heat 1 teaspoon oil in a pan. Add in all the ingredients to be ground to a paste, except the coconut – dry red chillies, chana daal and cumin seeds. Fry on medium flame till they begin to turn brown, taking care to ensure that the ingredients do not burn. Now, add in the coconut, and fry on medium flame for a few seconds, again ensuring that the ingredients do not burn. Switch off gas. Transfer all the fried ingredients to a plate, and allow to cool down completely. When the fried ingredients have completely cooled down, grind them to a fine paste with a little water. Keep aside. Now, we will temper the cooked spinach and add in the ground spice paste. Heat 1 teaspoon oil in a pan. Add in the mustard seeds, and allow them to pop. Add the dry red chillies, cumin seeds and the asafoetida (for the tempering). Allow them to stay in for a couple of seconds. Add the cooked spinach to the pan, along with the spice paste we ground earlier and the rice flour. Mix well, ensuring that no lumps remain. Cook on medium flame for about 2 minutes, or till the mixture thickens. You may add in a bit of water, if you think the mixture is too thick. Taste and adjust salt if needed too. Switch off gas. Lastly, we will mix in the curd. Whisk the curd till smooth, and add it to the pan, after the gas has been turned off. You can use a tablespoon of fried gram (pottukadalai) or raw rice while grinding the spice paste, which will later help in thickening the Keerai Mor Kootu. If you are using any of these two ingredients, skip adding the rice flour to the kootu. Finely chopped garlic can be added to the tempering, if you so prefer, as can curry leaves. We usually don’t add either of these. Use curd that is fresh and not overly sour, for best results. I used home-made curd that was thick but runny. Adjust the quantity of curd you use, depending upon your personal taste preferences. Coconut oil or gingelly oil works best in the making of this Mor Kootu. Adjust the quantity of grated coconut as per personal taste preferences. Chop the spinach (palak) finely, for beautiful consistency of the Mor Kootu. You can use any other greens of your choice in a similar manner, to make Mor Kootu, instead of spinach. Adjust the quantity of dry red chillies you use in the spice paste, depending upon how spicy you want the kootu to be. I have used Salem Gundu chillies here, which are quite spicy. Add the curd at the very end, after the greens are cooked and the gas has been turned off. It is okay if the kootu is still hot while you add the curd. Don’t cook the kootu after the curd has been added to it. If you plan to serve it later, you may lightly heat up the Mor Kootu while serving, but don’t overdo it. Do you like the recipe? Do let me know, in your comments! This recipe is for the Foodie Monday Blog Hop. The theme for the week is ‘#SaagSaga‘, wherein members need to prepare a curry using any of the leafy greens of winter. Last month, we finally made that long-pending trip to Thailand. This voyage had been waiting to be undertaken for years on end, and it did happen over the bub’s Dassera holidays in October. Thailand is where the bub turned 4, and we spent some happy days there, roaming around and exploring as much as we could. This time around, I saw Thailand from the eyes of a food and travel blogger, a completely different experience to the one I had previously, on our honeymoon. Among the foodie souvenirs I brought back to India from our holiday were these edible flowers, called Vegetable Hummingbird. Walking around the aisles of Big C, a departmental store in Pattaya, I spotted this packet of flowers – labelled ‘Vegetable Hummingbird’. Apparently, these are flowers of the Sesbania Grandiflora, called so because their shape resembles that of the beak of little hummingbirds. The flowers, called Dok Khae in Thai, can be white, pink or red. They are used in several Asian cuisines like Thai, Vietnamese, Indonesian, Lao, Maldivian, Indian and Sri Lankan. The Thais use vegetable hummingbirds, mostly the white ones, raw in Nam Prik, and cooked in curries like Gaeng Som. I was intrigued, and absolutely had to pick up a packet of these to carry back home with me. The Internet also told me that these flowers are also commonly used in Bengali cuisine. The Bengalis call these Bokful, and they are dipped in chickpea-flour batter and deep-fried to make delicious Bokful Bhaja. I cannot help but marvel at these little similarities in cuisines throughout the world! Both the flowers and the leaves of the Sesbania Grandiflora – agathi poo and agathi keerai in Tamil, respectively – are chock-full of nutrients. The flowers have the power to ward off ailments like asthma, rheumatism and epilepsy, and to keep stress and anxiety at bay. Rich in calcium, the flowers have a cooling effect on the body, too. In Tamilnadu, agathi poo are used to make a lip-smackingly delicious stir-fry or poriyal, the slight bitterness of the flowers balanced by the addition of sugar, grated coconut, onions and/or beans. Check out the lovely Tamilnadu-style Agathi Poo Poriyal I made using these flowers, under Amma‘s expert tutelage. It was, indeed, super delicious and made for a wonderful pair with piping hot rasam rice! Open up the agathi poo and remove the stamen – the hard stalk within. Discard the stamen. Chop up the agathi poo finely – you should get about 1 cup of the chopped flowers. Keep aside. Chop the onion finely. Keep aside. Heat the oil in a heavy-bottomed pan. Add the mustard seeds, and allow them to pop. Add the asafoetida and the finely chopped onion. Stirring intermittently, saute on medium flame till the onion begins to turn translucent. This should take about 2 minutes. Now, add the curry leaves, the slit green chillies and the chopped agathi poo to the pan. Add in the salt to taste, sugar (if using) and turmeric powder too. Cook on medium flame, stirring intermittently, till the flowers are cooked. This should take 2-3 minutes. You may sprinkle a little water if you feel the poriyal is too dry or is sticking to the bottom of the pan. Taste and adjust seasonings if needed. Mix in the fresh grated coconut and cook for a minute more. Switch off gas. The Agathi Poo Poriyal is ready! The agathi poo has a slight bitterness to it, and the onions, sugar and fresh grated coconut help to counter that. You may skip the sugar if you don’t want to add it, but I personally think it adds a lovely flavour to the poriyal. Agathi poo comes in red, pink and white hues. The white ones are less bitter and tastier than the pink ones. Thai cuisine makes use of the white flowers only, while Tamilians use the white, red and pink ones. Coconut oil or gingelly oil works best in this kind of poriyal. However, you can use any other kind of oil you prefer, instead, too. You may add finely chopped coriander leaves to the Agathi Poo Poriyal too. We usually don’t, in this kind of poriyal. Typically, only the heat from green chillies is used in this kind of poriyal. However, if you feel it is too mild, you may add a dash of red chilli powder too. Considering the vegetable hummingbird flowers are quite thin, they cook really easily. There’s no need to cover the pan while the flowers are cooking, but you may if you want even faster cooking. Vegetable Hummingbirds or Agathi Poo are quite fragile, and do not have much of a shelf life. They are best consumed straight after plucking or buying at a vegetable vendor’s, as the case may be. The calyx of the agathi poo – the greenish part at the bottom of the flower, which holds the petals together – is okay to consume. The stamen – the hard stalk within each flower – needs to be removed. It is soup weather now, at least here in Bangalore! Winter is setting in deeper in the city, bit by little bit, giving me the perfect foil to make a variety of soups. 🙂 We are quite the soup-loving family, and a bowl of hot soup makes the perfect evening snack for us most evenings. Today, I present to you the recipe for Hot & Sour Vegetable Soup, a simple soup that you can whip up within a matter of minutes. You can use whatever vegetables you have on hand, and it will taste absolutely wonderful! Especially, the burnt garlic that I temper it with adds a whole lot of oomph to the soup. Do try this recipe out, and let me know how you liked it! Let’s now check out the recipe for the Hot & Sour Vegetable Soup With Burnt Garlic. 1. First, we will prep the vegetables we need to make the soup. Remove strings from the beans and chop finely. Chop the cabbage, onion, cauliflower, babycorn and garlic finely. Keep aside. 2. Heat 1 tablespoon butter in a thick-bottomed pan. Add in the finely chopped beans, cabbage, onion, cauliflower and babycorn. Add salt to taste. Saute on high heat till the vegetables are cooked, but still retain a bit of a crunch. 3. Mix 2-3 tablespoons of water into the wheat flour, and make a paste without any lumps. Keep aside. 4. Add 4 cups of water to the pan. Add in the wheat flour paste. Mix well. Cook on medium flame till the soup thickens and begins to boil. 5. Now, add in the soya sauce, Sriracha sauce, sugar and black pepper powder. Mix well. Check and adjust salt if needed. Cook on medium flame for 1-2 minutes. 6. Meanwhile, heat the remaining 1 tablespoon butter in another pan. Add in the finely chopped garlic. Saute on medium flame till the garlic browns, allowing it to burn slightly, but not overly so. Add the burnt garlic to the soup in the other pan. 7. When the soup has simmered for 1-2 minutes, switch off gas. Mix in finely chopped coriander and lemon juice to taste. Serve hot. Vinegar can be used to sour the soup, instead of lemon juice. You can even use a mix of lemon juice and vinegar. I have used salted butter from Amul, Sriracha sauce from Thai Heritage and naturally fermented soya sauce from a Thai brand called Shoyu. You may skip the sugar if you want to, but I personally wouldn’t suggest that. The sugar doesn’t make the soup overly sweet, but helps in rounding up the other flavours beautifully. Be careful while adding in salt to the soup. Remember that the butter and soya sauce that we are using in the soup contain salt as well. Here, I have used whatever vegetables I had handy at the moment. You may use any other veggies of your choice to make this Hot & Sour Soup. Paneer or tofu can be added to the soup as well. Here, I haven’t. You may lightly roast the wheat flour before adding it to the Hot & Sour Soup. I haven’t. I have used raw wheat flour here. I haven’t used any ginger in this soup. You may, if you want to. Corn flour can be used to thicken the Hot & Sour Soup, instead of wheat flour. You can use herbed butter in the soup, instead of ordinary salted butter. This post is for the Healthy WELLthy Cuisines Facebook group that I am part of. The members of this group cook for a particular theme every fortnight. This fortnight, all of us are cooking different types of soups. I’m also sharing this post with Fiesta Friday #251. The co-hosts this week are Mollie @ Frugal Hausfrau and Monika @ Everyday Healthy Recipes. Diwali means time to shop till you drop, to dress up to the hilt, to meet friends and family, to exchange gifts, to light lamps and celebrate. It also means time to gorge on a huge variety of sweets and savouries, not just at your own place but also at your relatives’. The festive season is a time of indulgences and excesses. Bloated tummies and indigestion are common ailments around Diwali season, thanks to consuming a whole lot of oily, rich foods. To counter this, households in Tamil Nadu resort to preparing Diwali Marundhu or Diwali Legiyam, a common home-made herbal concoction. Making Diwali Marundhu (which literally means ‘Diwali medicine’ in Tamil) is an age-old practice in Tamil Nadu. It is typically made the day before Diwali, using a horde of herbs and roots, cooked with jaggery and ghee. On Diwali day, a little of this herbal ‘medicine’ is consumed on an empty stomach, before the feasting begins. Some households continue to consume spoonfuls of the Diwali Marundhu till the festival season ends. It is also offered to lactating mothers, to keep minor ailments at bay and give them strength. The horde of ingredients that goes into the making of Diwali Marundhu – long pepper, cinnamon, cloves, cardamom, carom seeds, cumin seeds, long pepper root, coriander seeds and the like. These days, ready-to-consume Diwali legiyam is available in Tamil Nadu stores, but to me, nothing matches the charm of making it at home. Different families make the legiyam with minor variations of their own, the basic ingredients and technique of cooking remaining more or less the same. Today, I present to you my family recipe for Diwali Marundhu or Diwali Legiyam, the way it has always been prepared by our ancestors. 1. Crush the nutmeg, long pepper, long pepper root, cinnamon and greater galangal roughly, using a mortar and pestle. Place these in a pan, along with all other ingredients listed under ‘For the spice powder’. Dry roast all these ingredients on medium heat, till they begin to emit a lovely aroma. Ensure that they do not burn. Transfer the roasted ingredients to a plate and keep aside. 2. Take the jaggery in the same pan, and add in about 2 cups of water. Place on high flame, and cook till the jaggery is entirely dissolved in the water. Stir intermittently. Switch off gas when the jaggery syrup comes to a rolling boil. Keep aside. 3. When all the roasted ingredients have cooled down completely, grind to a powder in a mixer. 4. Strain the jaggery syrup through a fine sieve, to remove any impurities. Add the filtered jaggery syrup back to the same pan, and place on high heat. Allow the syrup to heat up a bit, about a minute. 5. When the jaggery syrup heats up, lower the flame to medium. Add the spice powder we prepared earlier to the pan, stirring constantly, ensuring that no lumps are formed. 6. Cook the mixture on medium flame till it begins to thicken, stirring intermittently. This should take 2-3 minutes. 7. At this stage, add the ghee to the pan. Continue to cook on medium flame, stirring intermittently, till the mixture comes together well and begins to separate from the sides of the pan. This should take another 2 minutes. Switch off the gas when the mixture is still runny, otherwise it will become hard. 8. Mix in the honey at this stage. 9. Allow the mixture to cool down completely before transferring it to a clean, dry, air-tight container. Store at room temperature. Obtaining some of these ingredients might be an issue in certain parts of the world. They are easily available in most ‘naatu marundhu‘ (local medicine) shops in Tamilnadu, though, which is where I pick up my stash from. You may even be able to find a few of these ingredients online. I have tried to include the common Tamil and Hindi names of all of the ingredients used here. Some families add gingelly oil (nalla ennai) to the Diwali Legiyam, at the time of adding the ghee. We don’t. Dried turmeric root can be used in place of turmeric powder. Dried ginger can be used in place of dried ginger powder. Here, I have used dried ginger powder from Kitchen D’Lite, of which I was sent a sample to test and review. I loved the freshness and good quality of the product, an honest opinion of mine, not influenced by anything or anyone. For those of you who are interested, Kitchen D’Lite ginger powder is available on Amazon, as are other products by the brand. We add honey to the Diwali Legiyam or Diwali Marundhu, because we love the flavour it adds. You may even skip it if you don’t want to. If you are not able to procure all of the ingredients this recipe requires, you can make a basic version that skips the exotic ones – nutmeg, long pepper, long pepper root and greater galangal. Adjust the quantity of jaggery powder you use, depending upon how sweet you want the Diwali Marundhu to be. The amount of jaggery you will need also depend upon the brand and quality you use. The above measurements work out just perfect for us. I add in 2 cups of water in the above recipe because I like my Diwali Marundhu to be runny and not too thick. You may decrease the quantity of water you use, if you would prefer the final product to be thicker in consistency. Make sure you do not overcook the Diwali Marundhu. Switch off the gas when it is still runny, as it hardens further on cooling. Store the Diwali Marundhu at room temperature. Refrigeration might cause it to crystallise or harden. Use only a clean, air-tight, dry container to store it, and a clean, dry spoon to remove it. This Diwali Legiyam is meant to be consumed in small quantities only, say, 1 tablespoon every 2 days or so. Over-consumption is not recommended. The consumption of Diwali Marundhu or Diwali Legiyam is not advisable for children below 5 years of age. I’m sharing this post with Fiesta Friday #249. The co-hosts this week are Diann @ Of Goats and Greens and Jenny @ Apply To Face Blog. The fact that moringa aka drumstick leaves are loaded with health benefits is very well known. The greens are a rich source of Vitamin A, B6, B12, C and E, apart from possessing a high content of protein and calcium, iron and beta carotene, magnesium and chlorogenic acid. Drumstick leaves aid in hair care and skin care, preventing neurological disorders Alzheimer’s Disease, alleviating pre-menstrual syndrome (PMS), lowering cholesterol levels and improving one’s vision. They also aid slow ageing, lower the risk of cancer, and help the body in fighting against toxins that air pollution throws at us. Apart from this, moringa greens also help in fighting inflammation, promoting bone and cardiovascular health, protecting the liver, aid in wound healing, help in keeping anxiety and depression at bay, and also help one in combating diabetes, obesity, high blood pressure and asthma. Any wonder they are being touted as a ‘super food’? I try to include moringa greens or drumstick leaves (‘Murunga Keerai‘ in Tamil) in our meals at least once every two weeks. There are several things I use these drumstick leaves in – I add them to uttapams and adais, I use them in sambar and dal tadka, or in a South Indian-style poriyal. One of my family’s most favourite ways to consume these greens is in a roti! Drumstick Leaves Rotis are extremely easy to make, but super delicious, not to forget healthy. I add a lot of ingredients to these rotis, so they can be eaten on their own and don’t really need any accompaniment. This makes the rotis an ideal candidate for busy weekday lunches or dinners. 1. Wash the drumstick leaves well under running water. Chop them roughly and keep aside. 3. Chop the coriander finely. Keep aside. 4. Peel the ginger and chop finely. Peel the garlic cloves and chop finely. Chop the green chillies finely. Grind the ginger, garlic and green chillies together to a paste, using a little water. Keep aside. 5. Take the whole wheat flour in a large mixing bowl. Add salt to taste, turmeric powder, red chilli powder (if using), asafoetida, sesame seeds, cumin seeds, nigella seeds, powdered jaggery (if using), 1 tablespoon oil, and amchoor powder or sour curd (if using). 6. Add the finely chopped coriander and onions, the ginger-green chillies-garlic paste, and the chopped drumstick leaves to the mixing bowl. 7. Bind the ingredients in the mixing bowl together into a soft dough, using a little water if needed. Knead for a couple of minutes. Cover, and let the dough rest for 15-20 minutes. 8. Heat a thick dosa pan on high heat. Meanwhile, take one small ball of the dough, place it on a floured work surface, and roll it out into an even roti. 9. When the dosa pan is nice and hot, turn the flame to medium. Place the rolled-out roti on the pan, and spread a little oil all around it. Cook on medium flame till it gets brown on the bottom. Now, flip the roti over, and cook till done on the other side as well. Transfer to a serving plate. 10. Prepare all the Drumstick Leaves Rotis in a similar manner. Serve hot on their own or with raita, pickle, curry or any other accompaniment of your choice. For best results, use tender drumstick leaves that aren’t overly mature. Leave the bunch of drumstick greens wrapped in a newspaper or in a paper bag, outside at room temperature, overnight. Most of the leaves would have fallen off by morning – this is an easy way to separate the tiny leaves from the stems. The use of jaggery and curd or amchoor powder is purely optional. You can skip these ingredients too, and keep the parathas really simple. I would personally suggest using them, though, for they add a lovely taste to the rotis. Moringa or drumstick leaves can be a bit difficult to digest, especially for children. This is why it is crucial to use tender greens to make these Drumstick Leaves Rotis . If the leaves you have are a bit tough, you can chop them roughly and saute them a bit, before using them in making these rotis. Use a heavy dosa pan to make these Murunga Keerai Roti. Get the pan nice and hot, till drops of water sprinkled on it dance, then ensure that you turn the flame down to medium. Cook the rotis on medium flame on both sides. This will ensure even cooking, without the rotis getting burnt. Adjust the quantity of green chillies, salt, jaggery and garlic that you use, depending upon personal taste preferences. Add in red chilli powder if you want, if you feel the heat from the green chillies isn’t enough. I usually use only green chillies in making these Murunga Keerai Roti – I skip the red chilli powder entirely. The dough should be soft and pliable, but not sticky, for best results. This post is for the A-Z Recipe Challenge. The A to Z challenge was initiated on a Facebook Group, wherein a group of bloggers come together and choose key ingredients alphabetically to cook and post a dish every alternate month. This month’s Alphabet is ‘D‘, and I chose Drumstick Leaves as my key ingredient. I decided to make these Drumstick Leaves Rotis with them.